The National Congress of Christian Education offers a wealth of learning opportunities to help individuals grow spiritually in their work and witness in the world for Christ. Visit Baltimore's African-American Museum, Museum of the Bible, and the MLK Monument. All tours - $62 per person. Click here or click the map to purchase tickets or for more info. 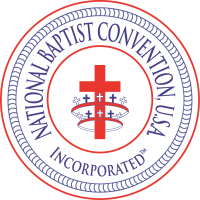 Remember, for your deposit to count, you MUST say that you are with the National Baptist Convention.